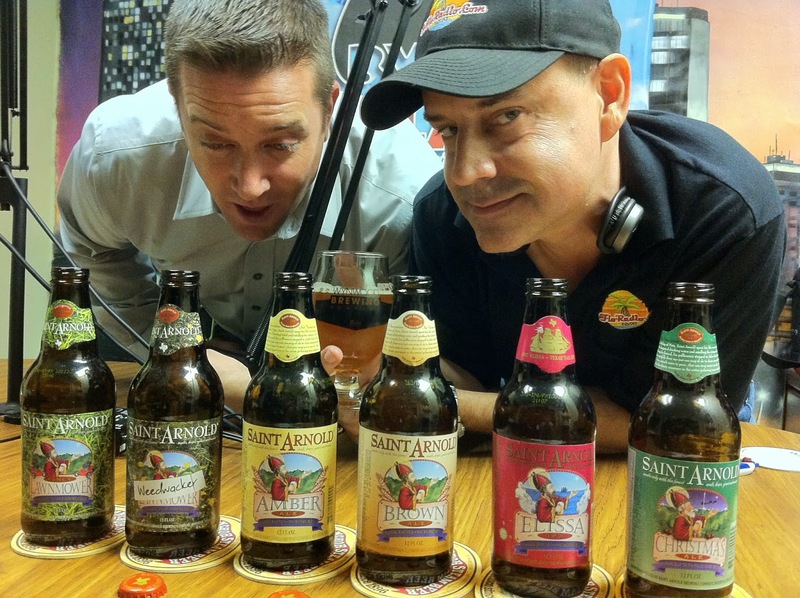 Last night, the By The Glass Show crew celebrated the arrival of Saint Arnold Brewing's beers to Florida. As of this month, people on the Gulf Coast are kicking back in their hammocks sipping sixers of Fancy Lawnmower Kolsch while they watch someone else cut the grass (that's why the lawnmower is fancy, get it?) But I hear it won't be too long until the expansion moves into my home Miami territory. So yes, by celebrate, I do mean we tasted six of their beers. 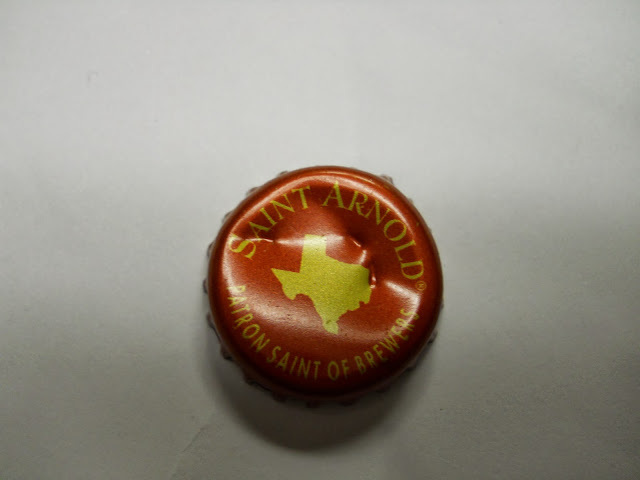 Brett gave us a little history about the Houston brewery and let us know that Florida is only the 4th state where Saint Arnold is distributed, despite being a relatively large craft brewer, 45th largest in the US. I was paying attention but made sure we started drinking too. First up, Fancy Lawnmower. I tried this beer many years ago when a friend brought it home from a business trip. I don't even remember what I thought then though. Great aroma, toasty and lemony, earthy, herbal. Very flavorful as well. Nice bitterness balanced with a grainy sweetness. A little citrus, more crackers. Creamy, balanced, crisp and refreshing. 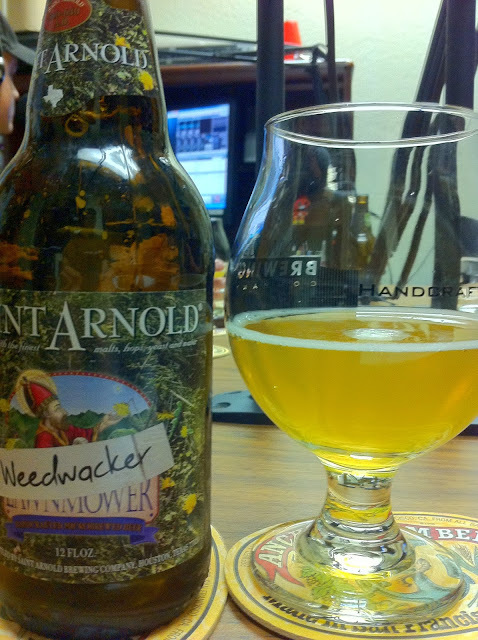 We then moved on to Weedwacker just as Saint Arnold's founder and owner Brock Wagner called in to the show. 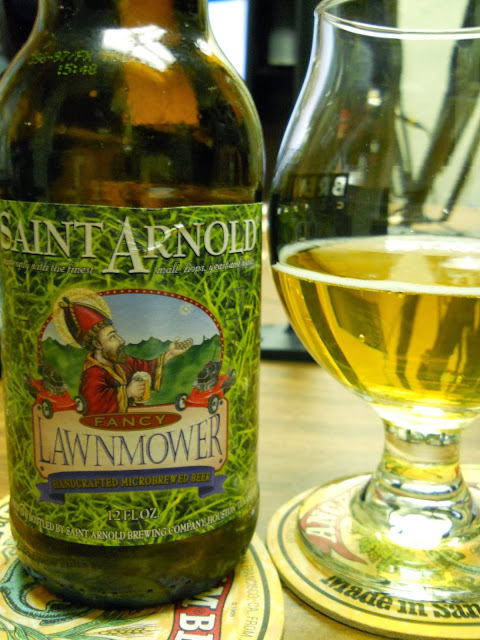 As we started the conversation, Brock told us this is an identical beer to Fancy Lawnmower with the exception of the yeast used to brew it. Apparently this one is brewed with a Bavarian Hefeweizen yeast. For me, the flavors were pretty subdued though there was a light spiciness and fruity flavor hanging around. But heck, what do I know? It won a medal in the German Wheat Ale category at GABF this year! So why Florida? 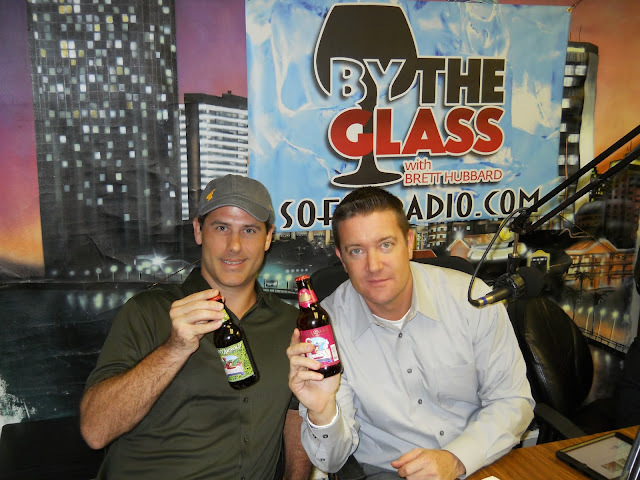 Brock said that the styles of beers they make are perfect for the climate "enjoyed" in Florida, just as they are in southern Texas. And they are expanding slowly, as the Houston market still accounts for around 70% of their sales. The back and forth of the interview was great between Brett and Brock. They should do a radio show together or something. 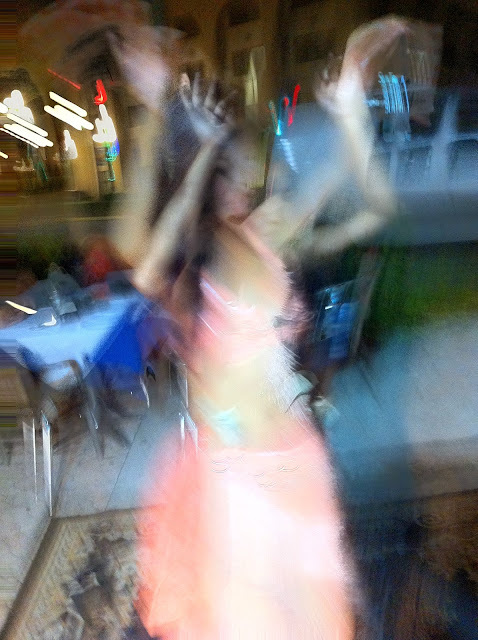 And the beers we were opening got intertwined in the story. 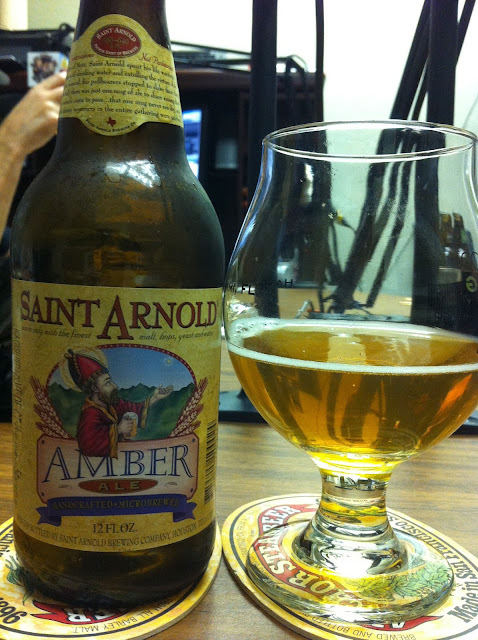 We then opened the Amber Ale. Brock said as a homebrewer, he never brewed the same beer twice. Then all of a sudden he had to choose a beer he was going to brew forever. And the Amber was what he went with when starting the brewery. Interesting too. Toasty, hoppy, a little astringent and bitter. Brock wrapped it up nicely, describing it as "an American Pale Ale from 20 years ago." 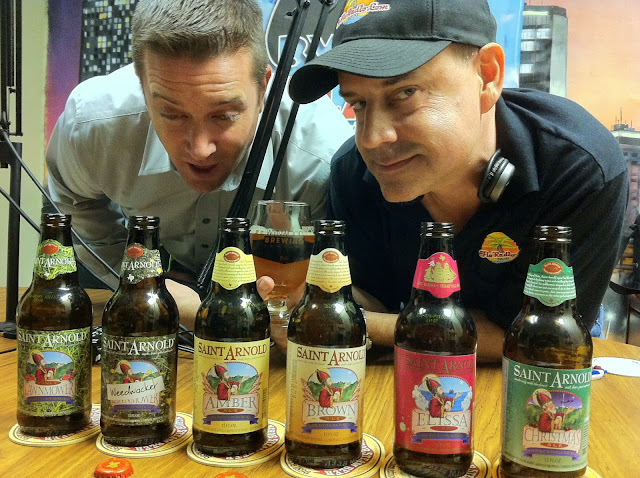 Brett ended the chat with a question about their Divine Reserve series, the one the beer geeks all drool over. Brock said it's a one-off series of bigger beers like barleywines, scotch ales and imperial stouts. The idea was to make limited edition beers that would last in stores for a few weeks. He said he's shocked that it has come to the point of people lining up in front of stores before they open and the series selling out "in 17 seconds." One day I'll get to try one of them! Adios, Brock. 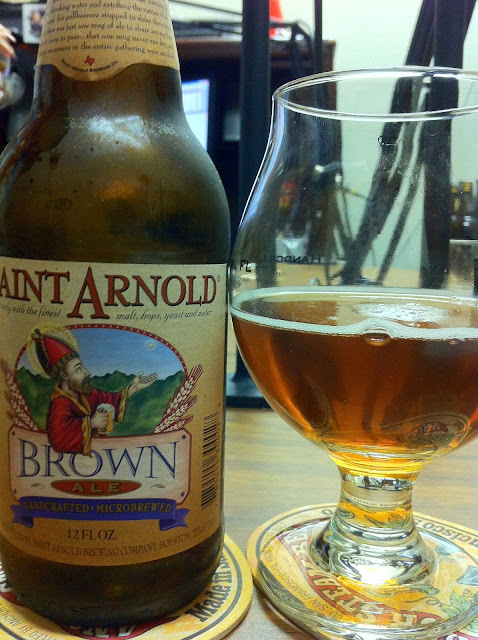 Hola, Saint Arnold Brown Ale. Toasty biscuit aroma. Fruity, no real roast, didn't really taste like a brown ale. Was good though. 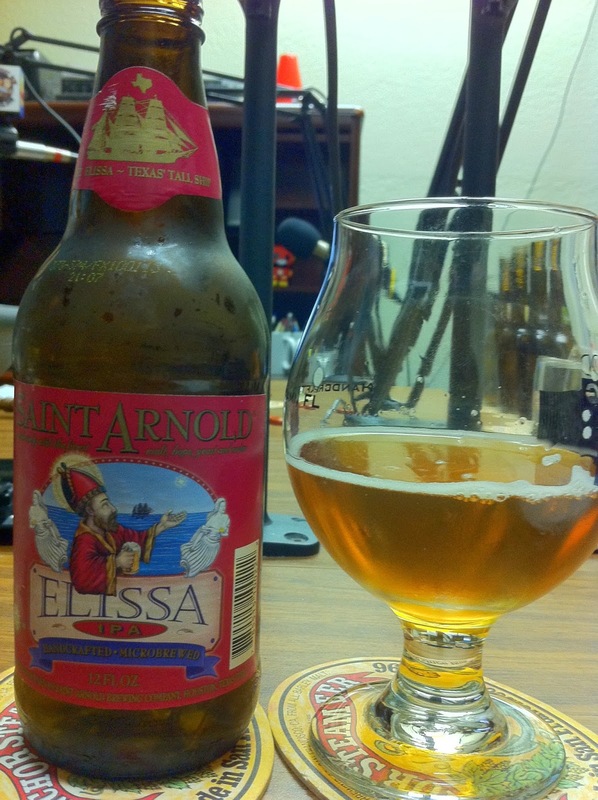 Elissa IPA was next. Orange citrus aroma though not that powerful. However, there was lots of flavor. Great bitterness, fruity, floral, citrus, herbal. Yet still balanced. Brock mentioned that his philosophy is all about creating balance in his beers. 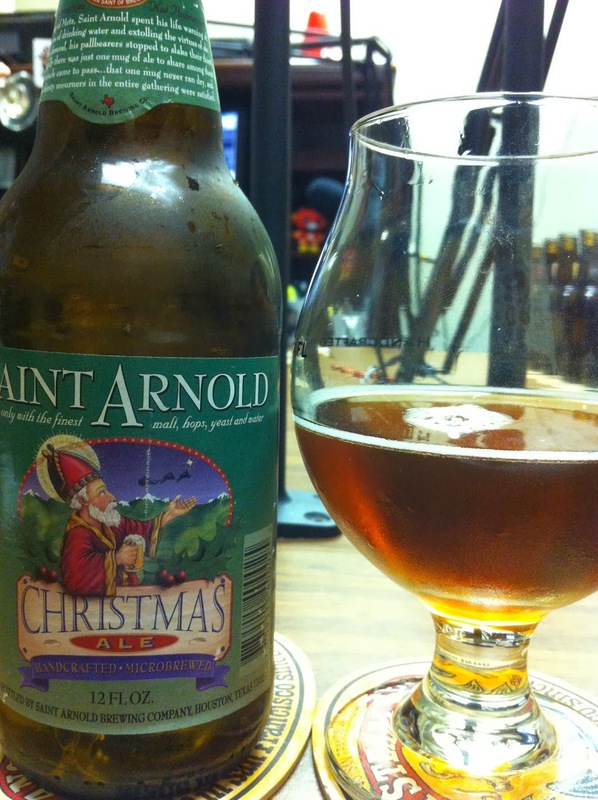 Finally, a Christmas Ale with a story. Yeah, I read it out loud to the group! Spicy aroma. Spices came through in the flavors too but were not the often obnoxious ones you find in this type of beer. Rich caramel, very malty. I'll wrap it up with a quote from Brock. "Beer is about facilitating enjoyment with your friends!" Dig the new site layout, Rob. It's funny that this is a revert to the old style. BUT this template works, loads, allows comments. So screw that other one!